The Assailants as one of the townsmen. 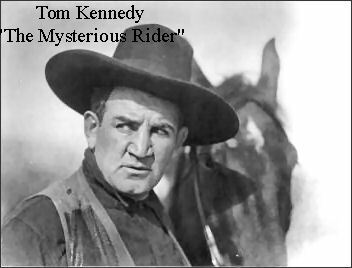 Tom Kennedy appeared in The Rifleman thirteen times ― Death Never Rides Alone as one of the townsmen at the saloon - The Assailants as one of the townsmen - Gun Shy as a the townsman/man getting off of the stage - The Decision as one of the townsmen - The Executioner as the man reading the newspaper - Day of Reckoning as a churchgoer - Guilty Conscience as one of the townsmen - Which Way'd They Go? as a barfly - Outlaw's Shoes as one of the townsmen - The Challenge as one of the townsmen - None So Blind as one of the townsmen - A Young Man's Fancy as one of the townsmen - End of the Hunt as one of the townsmen. You can see Tom in The Rifleman many times, probably more times then listed. He always went unaccredited, but not here at the ranch. 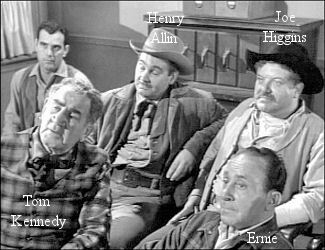 Tom is the father of Don Kennedy, another character actor you can see here at the ranch. 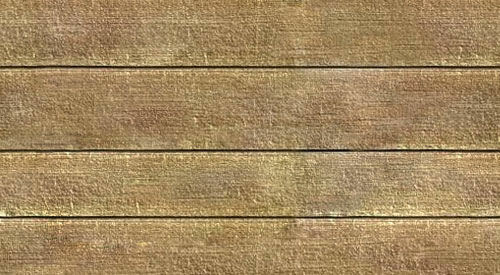 Once a boxer, this brawny character actor began his film career early in the silent movie era. Although Tom never became a star, Tom's face is almost as familiar to movie goers as their own. He frequently played big, dumb, likable, working-class types as in The Case of the Stuttering Bishop (1937). He almost became a policeman, but turned to professional boxing. 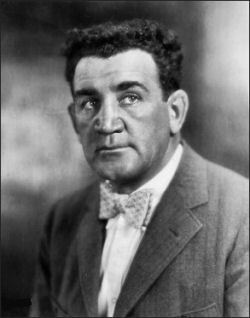 He came to Hollywood in 1915 from his native New York after a career as a heavyweight boxer. He made his film debut in 1915 in One Round Hogan. 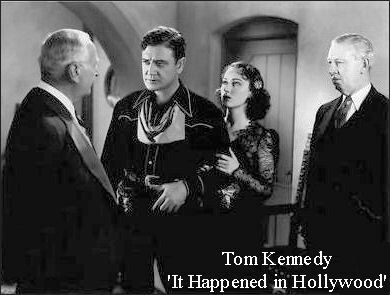 Tom was a one time Keystone Kop who career as a movie actor spanned nearly fifty years. He also worked with W. C. Fields, The Marx Brothers, and Laurel and Hardy in a career that lasted until his death at the age of 80. *Thanks to Phillip Arnold for giving this character his credit due!